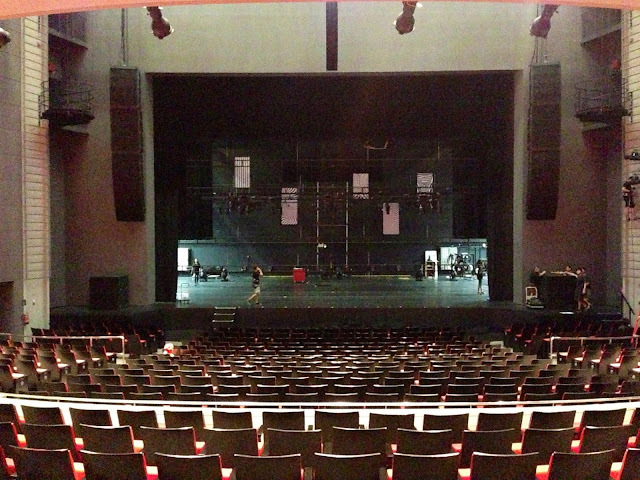 The Sands Theatres was home to many incredible productions such as Wicked, Lion King, Phantom of The Opera, Slava Snow Show and many more. I got the opportunity to be part of this production as the Special Effects Advisor, having to design and create some of the effects used in the show. Ryan was the chief choreographer of the show, his choreography and creativity is just amazing! 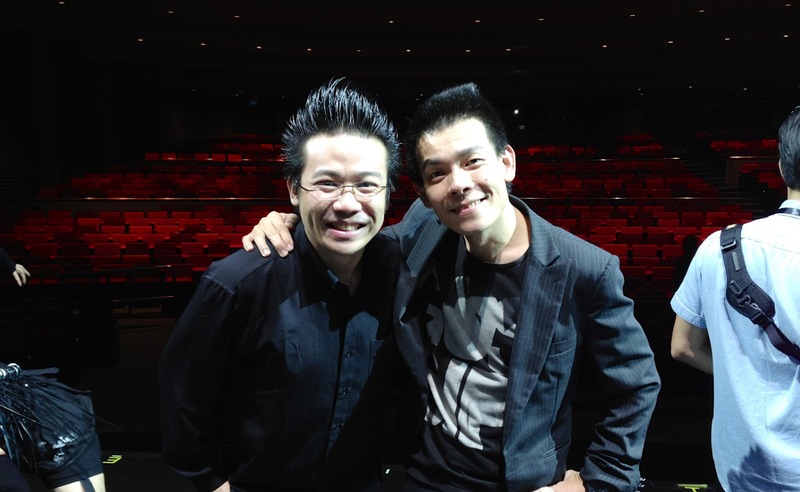 I've had the honour to have him as my dance instructor back in my MDC days. Planning and rehearsals started months ago. Wonderment is a show made up of extremely passionate and dedicated people. The energy of the people coming together, working towards the same goal is incredible! I can't help but to feel the enthusiasm of everybody as one big family, and what a talented family indeed! Setting up and some behind-the-scenes photos! The Sands Theatre is a beautiful, fully equipped theatre! 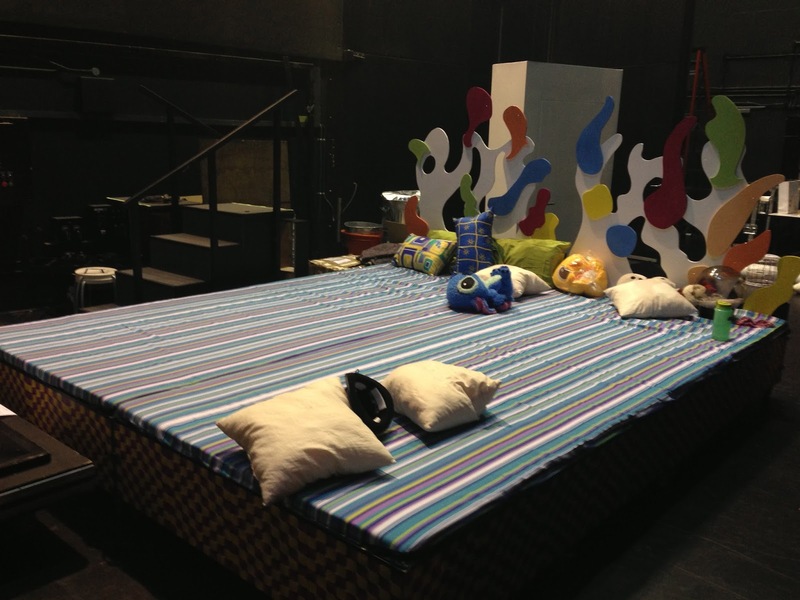 Our huge bed prop that transforms into a horizontal stage. Of course, as of everything I do, there must be LEDs! Read about my obsession with LEDs and a LED costume that I made recently from my blog post here! We used projection mapping in the show, check out this hilarious scene! 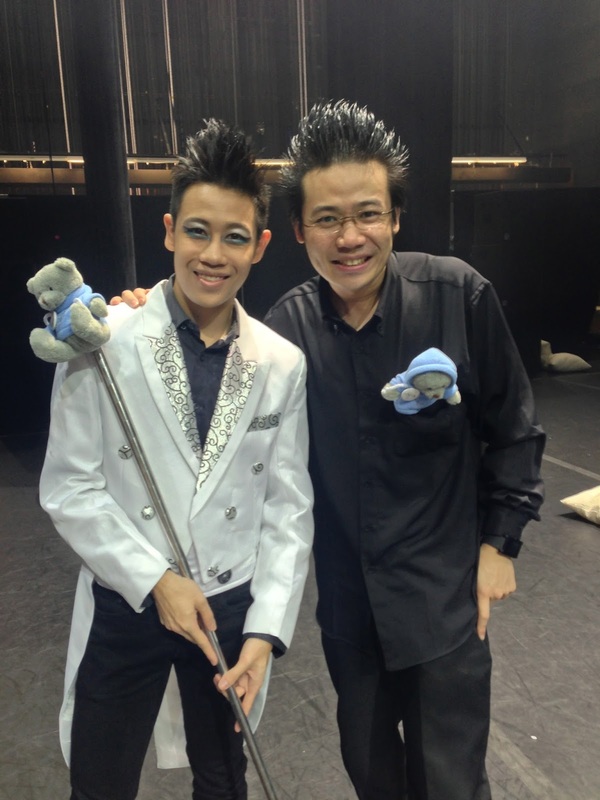 The very talented Terence Then, played a magician role in his dance item! The staff & crew at Marina Bay Sands, our heroes behind the scenes! 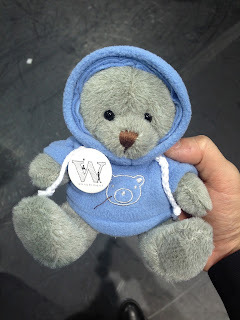 We were all given a "Wonderment Bear"
The amazingly talented cast and crew of Wonderment! It is an honor to be working with all the talented people behind the show. It was a truly amazing experience!